Canyoning is a really fun activity. 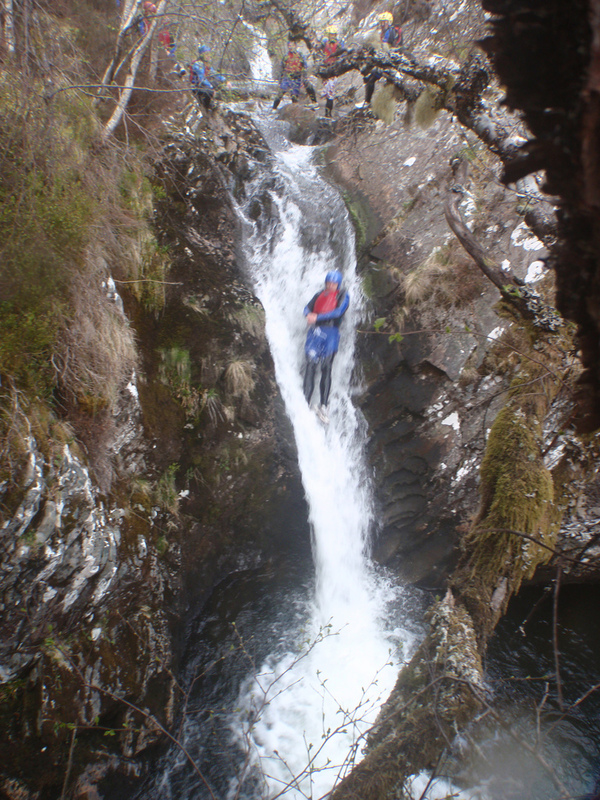 Big jumps in to natural pools, swim under waterfalls, and cascade down bedrock slides. Canyoning is a must do adrenaline sport; fresh mountain water splashing in your face as you take on huge jumps into natural rock pools, swim under waterfalls and cascading down natural rock slides. 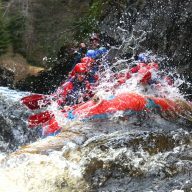 The original, real-deal, extreme, water and rock adventure. 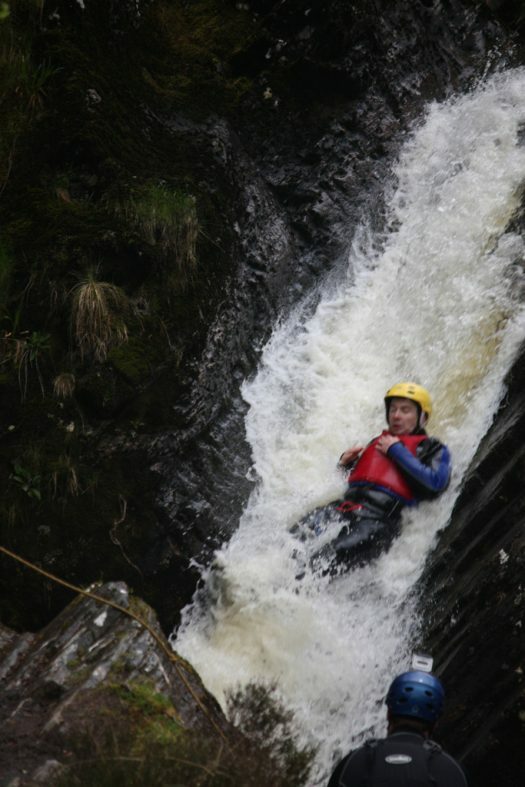 Our Canyon has Mega natural water slides, big pool jumps (all optional with ways around if you wish) and fantastic waterfalls. 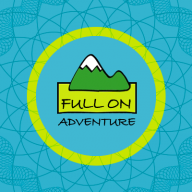 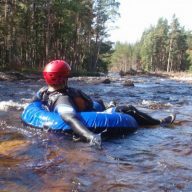 Ideal for adventure seeking adults and older teenagers but can be suitable for water confident younger folks, just ask us when booking. 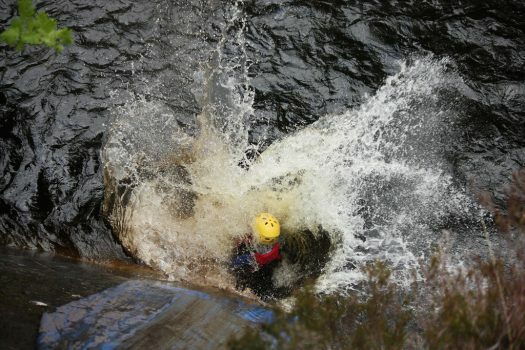 We started Canyoning 20 years ago as a low water alternative to our White Water Rafting when the rivers were too low for that activity. 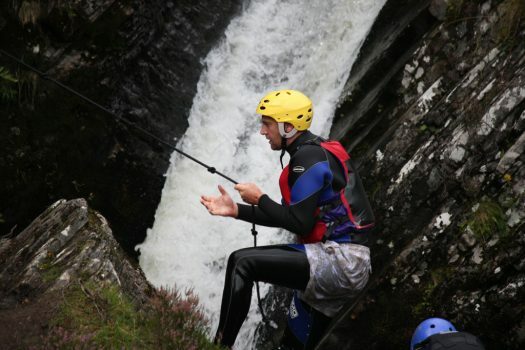 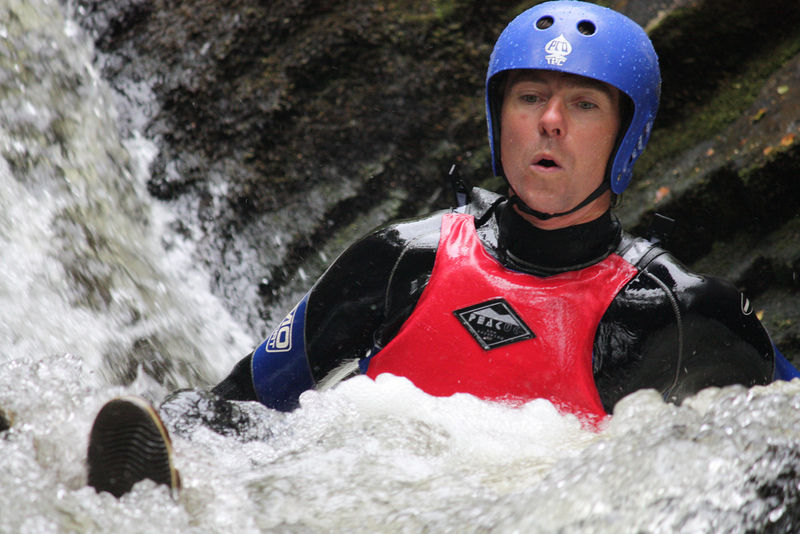 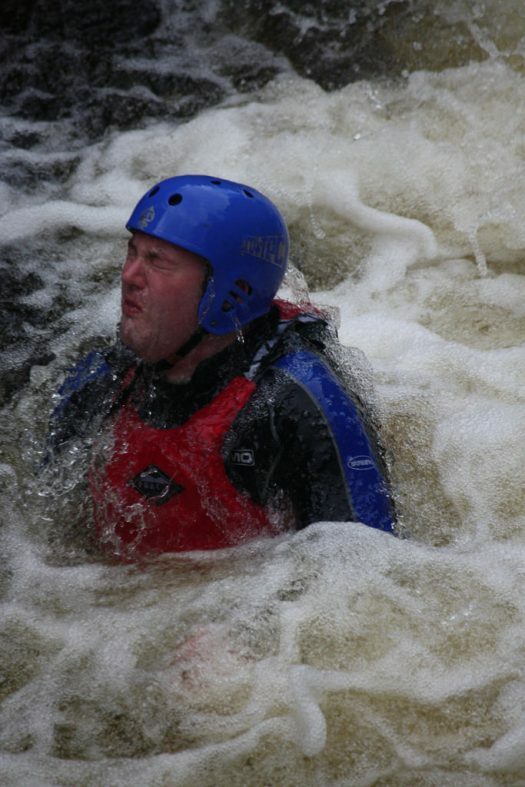 As an experienced white water creek kayaker, our founder John Mason discovered many of the most popular Canyoning venues, in Scotland, whilst looking for new rivers to kayak. 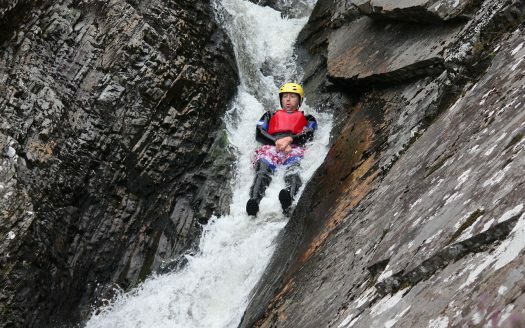 Often if a river was no good for steep creek kayaking, it ended up good for Canyoning. 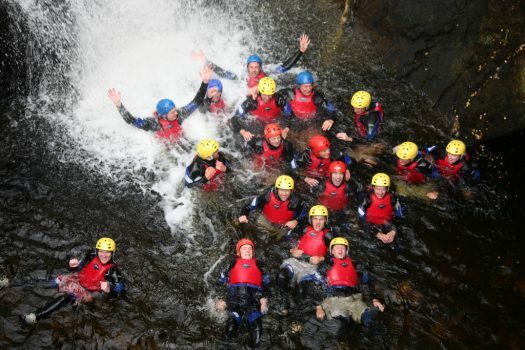 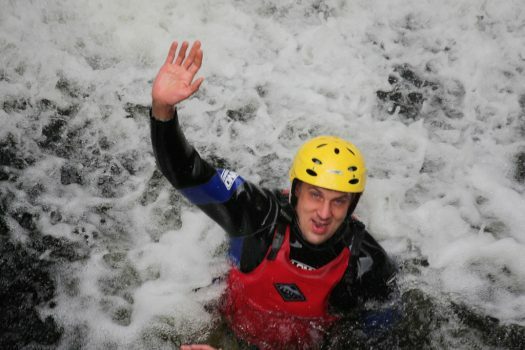 To this day our staff love Canyoning, it is often their goto on days off. 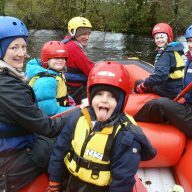 We also now have other alternative to Rafting or Canyoning which is our awesome hybrid activity called White Water River Tubing. 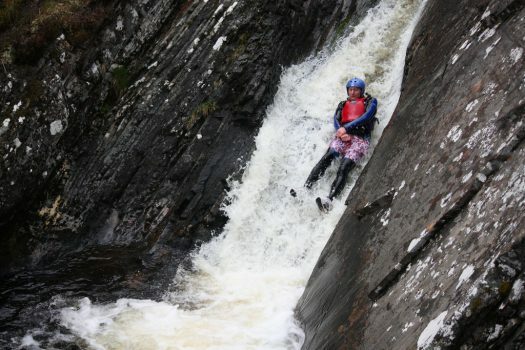 The closest great Canyon, is a 45minute drive west from Aviemore. 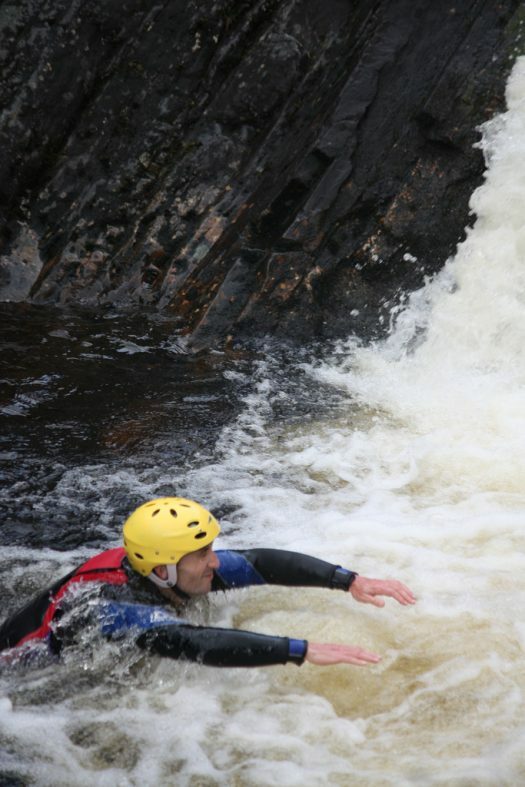 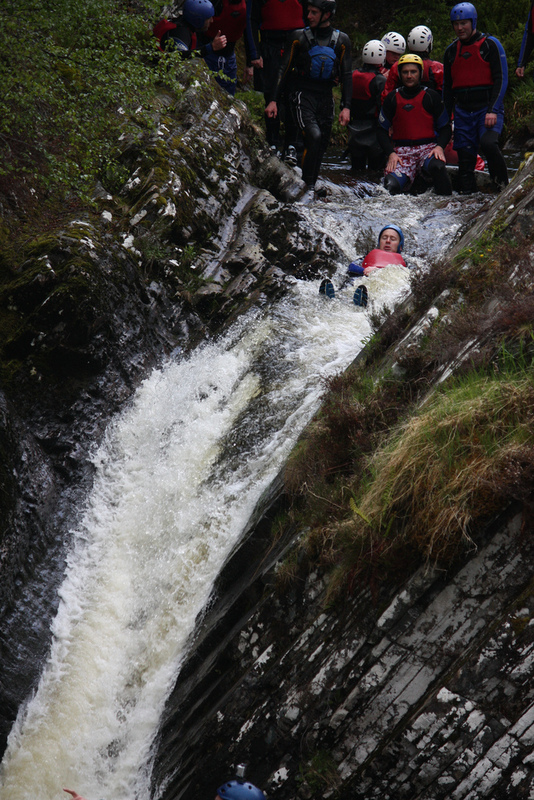 So if you’d like an activity closer to Aviemore which is every bit as exciting as Canyoning, then i’d recommend White Water River Tubing for sure. 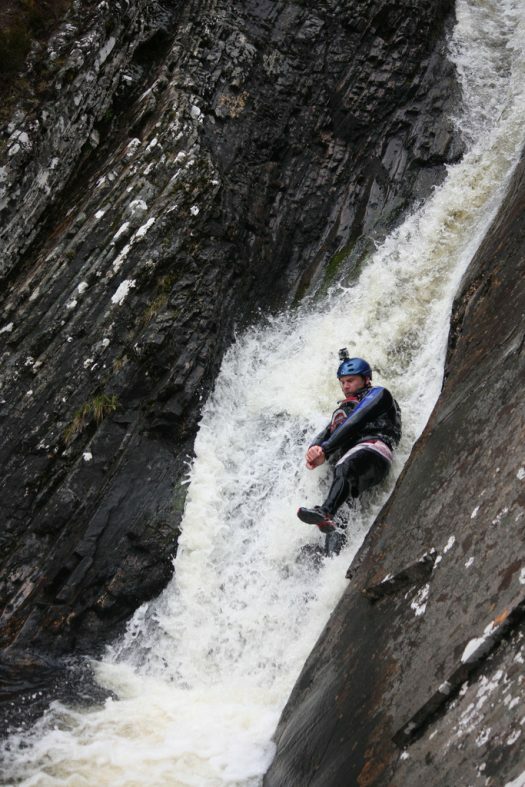 Additional 3mm jackets if it’s cold. 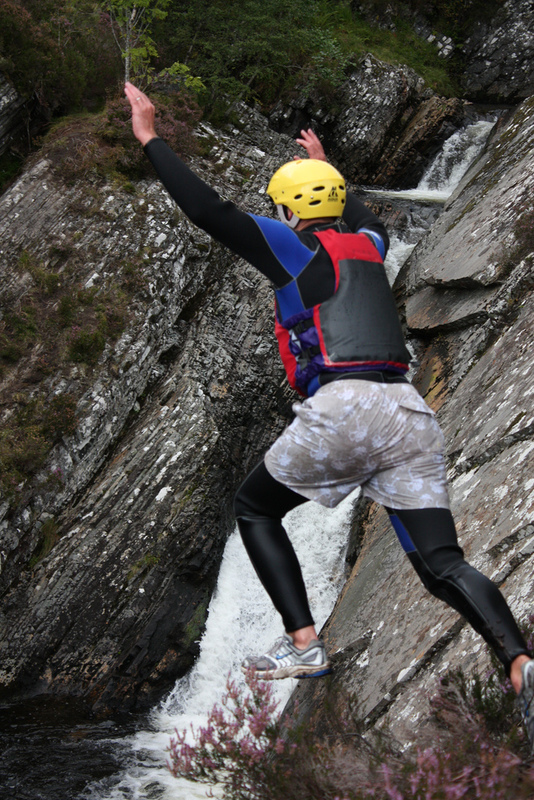 Transport to and from the canyoning location. 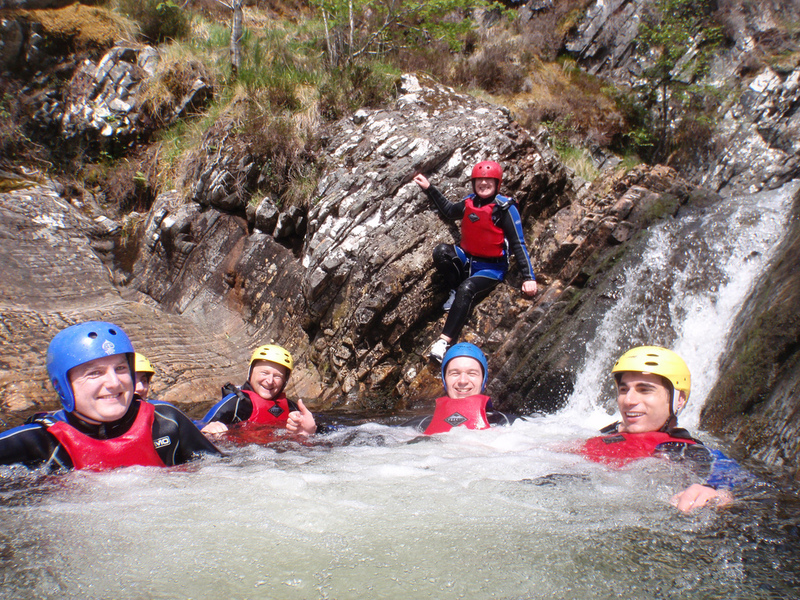 Towels – bring a towel! 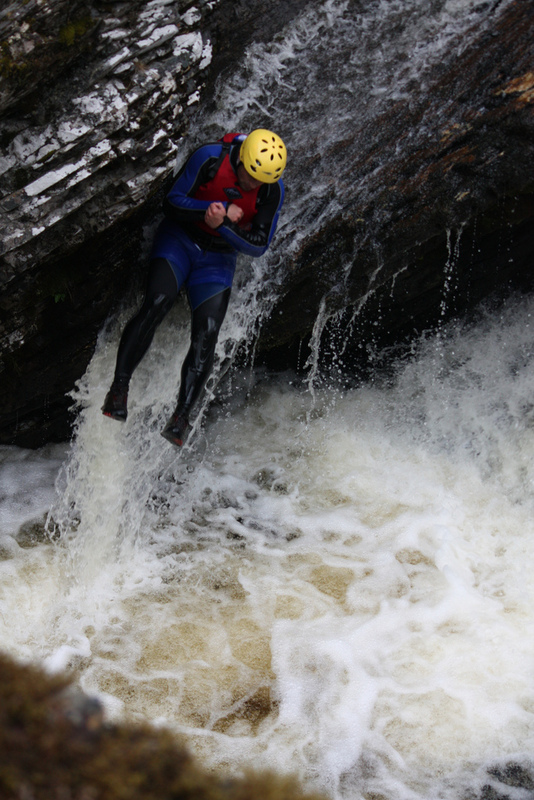 Footwear – old trainers recommended.